It was first reported in February ’19 that world and Olympic champion Sohrab Moradi would undergo spinal surgery. The timeline for full recovery was estimated at between six and nine months, potentially ruling out Moradi’s chances to compete during the second Olympic qualification period (May ’19 – October ’19) and thus ending his chances at Olympic qualification. The world record holder has now returned to the Iranian national team where he will undergo his rehab protocol. 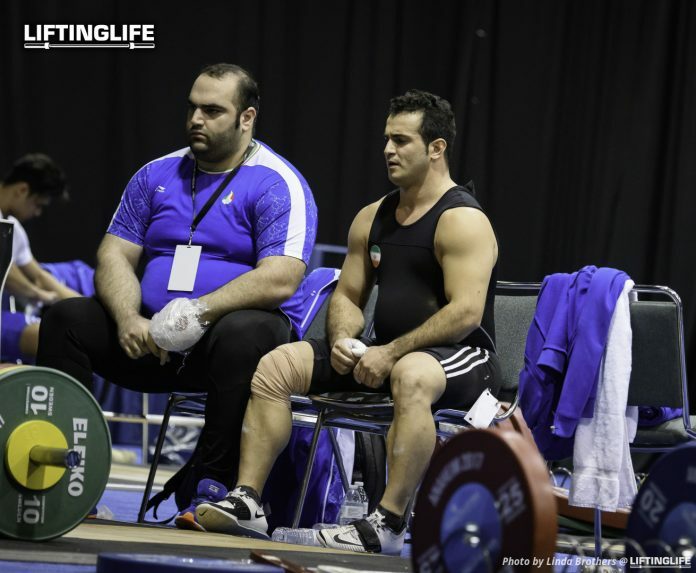 If his rehab goes well Moradi will begin his preparation for the 2019 World Championships in June, giving him four months of training before he will need to compete. This will act as his second qualifying competition. It looks as though Sohrab Moradi will weigh-in at the 2019 Asian Championships in 2 weeks, fulfilling another of his six mandatory competitions. Alongside his performance at the 2018 WWCs and his planned come back at the 2019 WWCs, Sohrab will have to total at two other Olympic qualifiers during the following six month period (November ’19 – April ’20). As long as Moradi weighs in at one additional competition alongside these five competitions his eligibility for the Tokyo 2020 Olympics will remain. Thanks to the 10% gold tier Robi bonus Sohrab Moradi currently has 1,242.72 from his 2018 World Championships performance of 186/230/316. Check out our Tokyo Qualifying Guide here. Big news! This lights up the Olympic qualification battle in that category!